Geetanjali Exports offer a wide range of Conference Files in attractive designs. These files are made by using superior quality raw material which ensure its best quality and durability. Clients can avail from us this range of files at most affordable prices. We have gained excellence in offering a wide range of files & folders to our clients. Being useful for various purposes such as conferences, exhibitions and corporate gifts, these folders are highly demanded in market. Further, these are widely acclaimed due to their certain attributes like durability and easy usage & carriage. We also customize our range as per client's requirements. 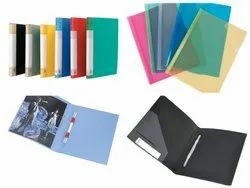 Our clients can avail from us an excellent quality range of Files, which are manufactured from high grade quality raw materials. These Files can be customized as per our customers specifications and availed at indsutrial leading price. We bring forth our vast industrial experience and expertise in this business, instrumental in providing Office File. Offered Office File is light in weight and is available in various colors. Paperkart Box File is an economical well built strong box file for your office filing needs. We are instrumental in offering premium quality Box Files, which are provided to the clients at cost effective rates. 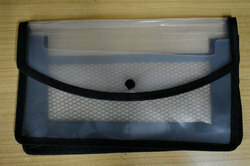 Highly durable files which meet the industry requirements. These files can be customized with the company name.